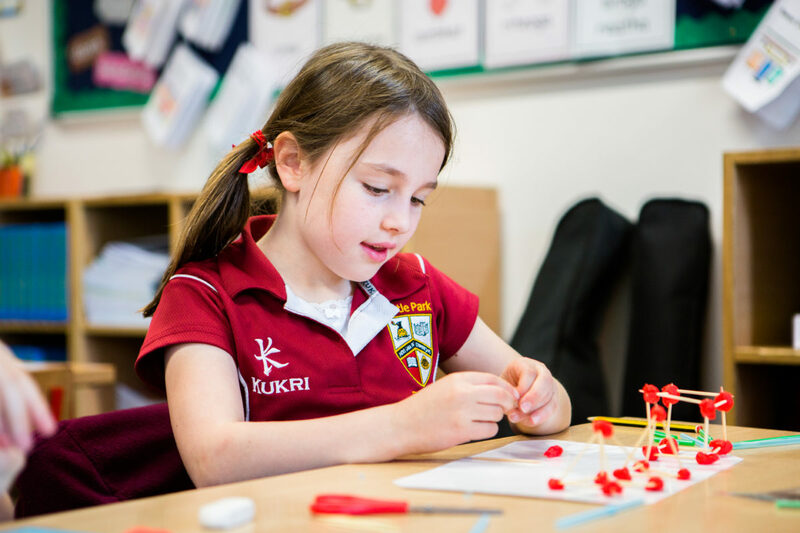 There are six year groups in the Prep Department, with pupils entering Form I (First Class) at the age of six and progressing through to Form VI (Sixth Class) by the age of 12+. Each year group is divided into two class groups, each class with their own Form Teacher. The school day for the Prep Department pupils begins at 8:40am and ends at 3:30pm. Pupils have 25 hours of curriculum learning time per week supplemented by extensive opportunities for extra-curricular activities from 3:30pm – 4:30pm daily. Day Care which includes supervised homework and tea is available after school until 6:30pm every day in term time. There are approximately 170 teaching days divided into three terms in our academic year. The Autumn Term runs from the beginning of September to Christmas, the Spring Term is from January to Easter and the Summer Term runs from after Easter (March/April) until the end of June. There is a two week mid-term break in the Autumn Term and a one week break in the Spring Term in February. Future term dates may be found here. Within School, parents are invited to special Assemblies, there is an annual Grandparents’ Day, regular talks and information evenings, Class Plays and the annual School Musical as well as regular concerts, recitals and exhibitions of pupil work. The summer term culminates with a Parents’ Day and Sports Day. At the end of every term, parents are invited to come into classrooms to review the pupils’ written work and to be shown the progress made by their own child(ren). For parents and families, the Friends of Castle Park (FCP) organise a range of social and cultural events including welcome coffee mornings, family fun events, nights out at local restaurants, fundraising quizzes and much more. Throughout their time in the School, pupils benefit from regular, termly outings to places of educational interest. These trips include venues such as museums, art galleries, theatres and places of environmental interest. In Form V pupils participate in their first residential trip for three days to Carlingford Adventure Centre, and Form VI pupils are encouraged to take part in the annual week-long trip to the Gaeltacht in Kerry.